Architect Pfister - Service Reps, Inc. 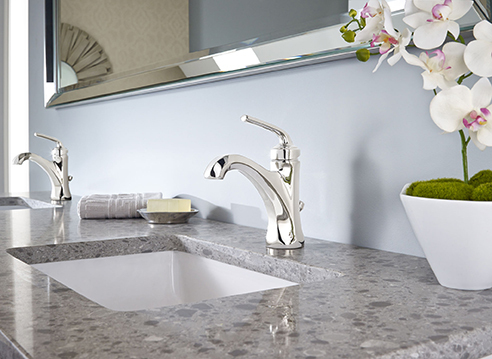 The Arterra Collection displays its classic lines without being too ornate. This allows the family to fit both a traditional styled interior and/or contemporary one. The faceted surfaces allow for a bold look that’s not overpowering. This family was designed to slightly modernize the look of a more traditional bathroom while adding a classic twist to a more contemporary one. 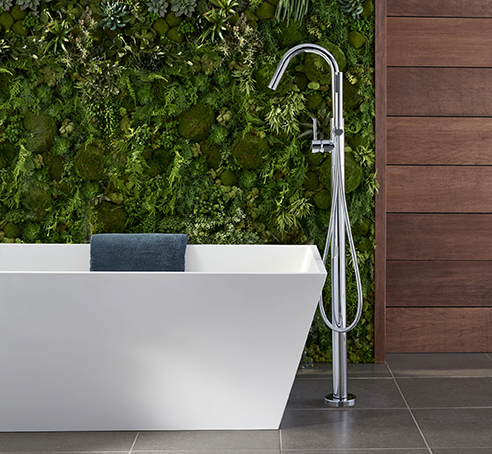 The sharp refined lines of the Arterra family provide a traditional yet timeless look to complement your bathroom while the statuesque presence elevates the look of your bathroom. It is both casual and sophisticated so it integrates blissfully into many different environments. 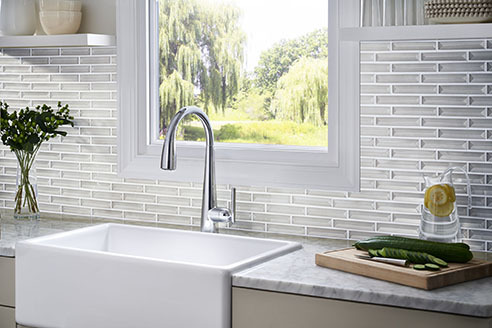 Featuring cutting-edge technology and impeccable design aesthetics, Zuri is the perfect piece for the modern kitchen. Zuri’s ergonomic joystick level enables smooth and precise 360 degree movement for exceptional volume and temperature control. The three-function pull-down spray head offers spray, stream, and pause functions all accessible with a touch of a button. Enhanced roaming weight provides speedy sprayhead retraction and our AccuDock system keeps the sprayhead securely in place. 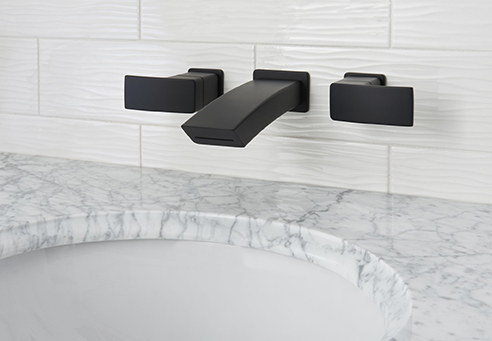 Combining high tech functionality with minimalist design, Zuri is truly a faucet unlike any other. A New Wave of Modern. A bathroom designed with Kenzo water fixtures relaxes your mind and body. The Kenzo Collection focuses on the basics: Water experience in its simplest form. Calm lines, and clear function – delivering water in a unique brand. A delight for residential and hospitality projects alike. Escape to your happy place. Allow the clean lines and high end modernity to transport you to your own personal spa experience. Utilize cleanliness and simplicity to enter into a space of calm and tranquility.